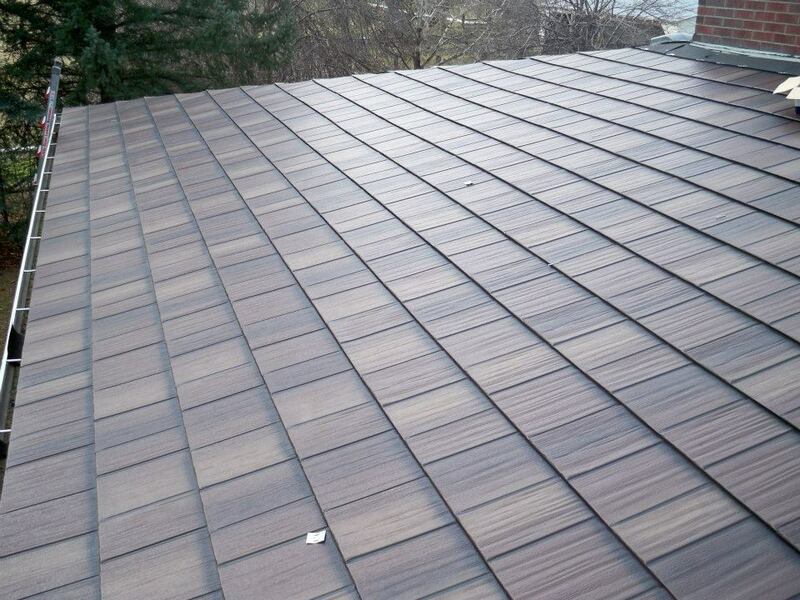 From light commercial to residential applications, Metal Shingle Shakes are the next wave in roofing and siding. Permanent and virtually maintenance-free, Metal Shingle Shakes will last for years to come without incurring typical upkeep expenses. Coated with a deluxe Kynar 500® finish to maximize color retention, Metal Shingle Shakes are available in a full range of 15 standard colors, 4 enhanced blend colors, and 9 premium HD (High Definition) Generations® colors. Unique 4-way interlocking system withstands winds up to 160 mph, and has the best hail rating available. 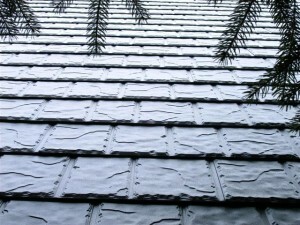 Unlike traditional roofing products, Metal Shingle Shakes will not warp, split, peel or crack. 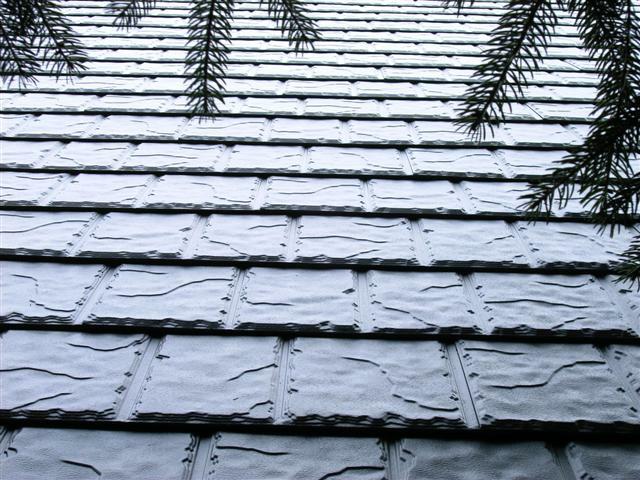 Unique double embossing pattern adds panel strength that are strong enough to be walked on and can be applied over an existing roof. Permanent and virtually maintenance-free, a Metal Shingle Shake roof will last for years to come without incurring typical upkeep expenses. Nothing lasts longer with lower maintenance than a Metal Slate Roof. Combining slate’s old-world charm and the unsurpassed performance of steel, a Metal Slate roof adds ageless beauty and a distinctive elegance to any home. Metal Slate is coated with Kynar 500®, the industry’s premium finish, which is corrosion-resistant, withstands even the harshest outdoor conditions and has superior color retention. Available in 4 standard colors and 3 blend colors to complement new homes as well as remodeling projects. Withstands severe weather changes free from unsightly panel distortion, breakage or ‘shedding’ like traditional slate materials. Virtually maintenance-free. It won’t chip, peel, rot, blister, rust, shed or fade. Provides a clean, distinctive look that vastly improves the appearance of your home or building.